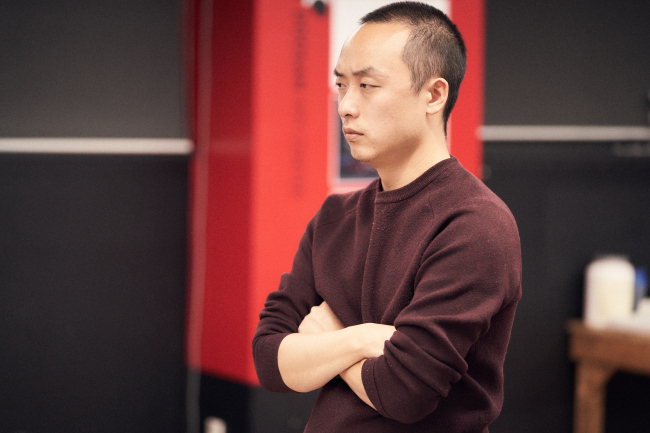 Director Lee Kyung-sung’s “Love Story” is a play that is faithful to the theater’s fundamental function: imagination. “Love Story” follows on the heels of Lee’s 2017 work “Walking Holiday,” inspired by a walking tour of the Demilitarized Zone, which highlighted the reality of the divided Korean Peninsula. “Love Story,” however, is different as it provides a look at the physically unreachable land beyond the border. 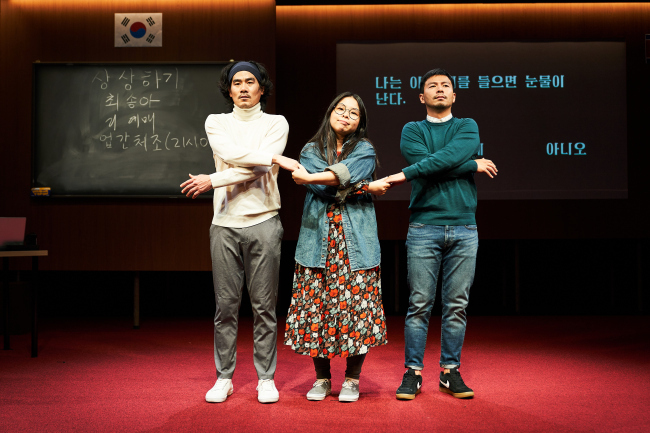 In “Love Story,” Lee overcomes the irreducible distance through imagination by creating North Korean characters the audience can empathize with on a personal level. “Love Story” suggests a very different side to the Kaesong industrial park, the inter-Korean economic project shuttered in 2016. While the media portrays the project through a purely political and economic framework, “Love Story” sheds light on the lives of the individuals who occupy the space. “Because we can only look from a distance, we are only able to know what happens on a boulevard but not much about what happens in the small alleys,” said actress Sung Soo-yeon onstage as part of a media preview last week. Na Kyung-min, Woo Bum-jin and Sung Soo-yeon play North Koreans working at the Kaesong industrial park in the border town of the same name. Throughout the 100-minute play, the three actors shift between portraying their characters and explaining them. They go in and out of character, at times narrating information about the characters they have created: their personalities, their appearances and their experiences at the industrial complex. In bringing the characters to life, the actors take a delicate approach. The actors say they had to picture their characters’ personalities, their occupations in the complex, their family backgrounds, their habits, what they wore, what music they listened to and many other things. To create plausible characters, they used various reference materials -- books and reports about the industrial park, interviews with the South Korean businessmen who operated factories there, photos from Google Maps and even rumors. The actors made clear that they were careful in creating the characters, cognizant of the possibility that the imagined characters could distort the reality of the people there. 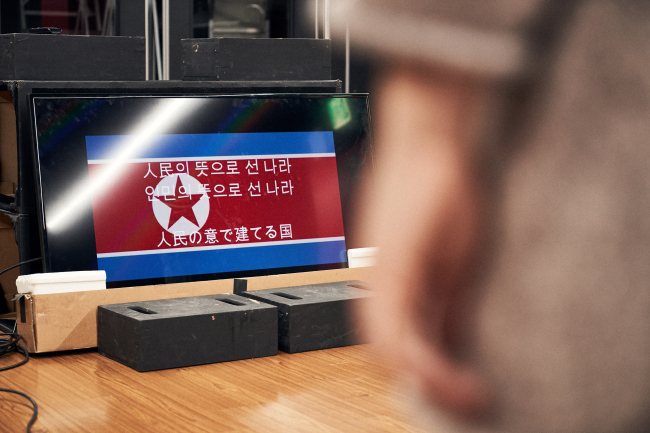 The actors said they wanted the characters to be fair representations of people who actually live in North Korea, while expressing hopes that what they have imagined not remain a fantasy. “Love Story” runs through Nov. 24 at the Doosan Art Center.